The benefits of having a safer fleet can go beyond accident avoidance. Companies that insure fleets, now more than ever, want proof that they employ every safety precaution possible. This affects both a company’s access to insurance and the rates it pays. Ryder has a strategy to help you stay safe and reduce costs. Safety plays a prevalent place in the transportation industry, and for good reason. Technology is providing new and more comprehensive ways to keep vehicles and people safer. Federal and state governments are implementing safer practices. Businesses want to avoid the risk and high costs that unsafe transportation practices create. With insurers raising rates and dropping coverage based on safety records and efforts, having a solid safety plan that is bolstered by the most current transportation safety equipment can help make your fleet more attractive to them. 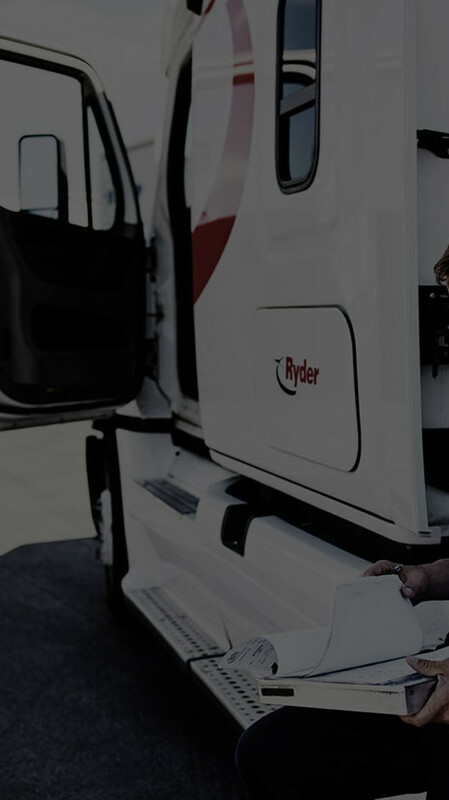 At Ryder, we offer discounts on the cost of fleet protection to business owners who outfit their vehicles with safety equipment that has proven results. Following these steps helps ensure that you hire capable drivers, only allow eligible drivers to drive on company buisness, train them, supervise them, and maintain company vehicles properly. Adherence to these 10 steps can also help to keep your motor vehicle insurance costs as low as possible. With Ryder and Lytx® our mission is to continuously provide value to our clients—whether you are just starting a trial, or are a long-time user of the Lytx DriveCam® safety program. Our comprehensive safety programs are consistently being updated with the latest features so our clients always get the most value. Commercial fleets have trusted the Lytx DriveCam safety program to help protect their drivers and reputations for almost twenty years. Lytx pioneered the video-based safety solutions category, and since then we’ve continued to invest in innovative technologies and analytics to make the Lytx DriveCam safety program the most effective risk management and coaching tool available. Clients renew their contracts with us because within months of using the program, they report seeing improvements in the driving behaviors that most impact collision rates and operational efficiency. It’s also because they know we’re 100% invested in helping them achieve their long-term goals. Our event recorders are programmed to capture and store only incidents that meet established criteria such as slamming on the brakes, swerving suddenly, and other risky behaviors. Get up to 15% off your Ryder Protection Advantage with the Ryder safety equipment discount program when you purchase safety packages on their newly leased Ryder vehicles.